Forgive my few weeks of absence, dear friends! I was off on a whirlwind of travel that brought me home to New Jersey to see family and then up to the North Shore of Minnesota for a cabin getaway. If you follow me on Instagram, you probably caught some of the photos. I’m back now and ready to take on summer with its bounty and its leisure in order to turn out some exciting content for you. 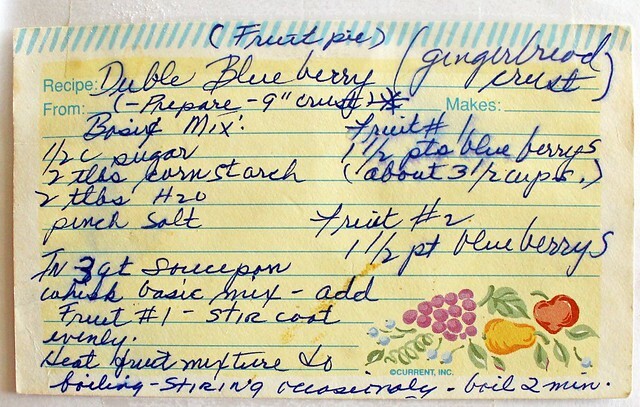 Up first is this fantastic recipe from my grandmother, Hilda. 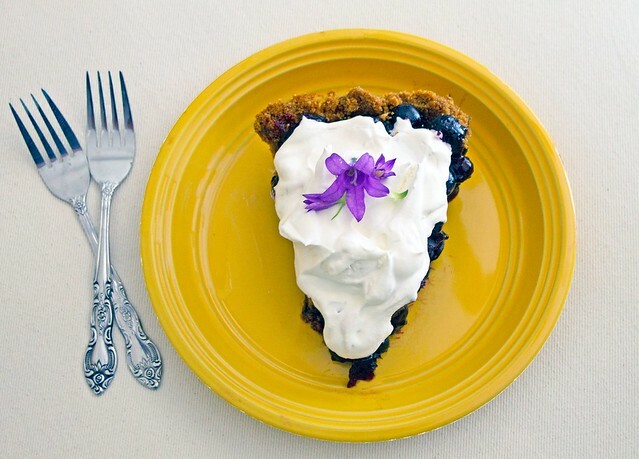 In the depths of summer, no one wants to turn on their oven, but almost everyone wants to still eat pie, right? The solution? No-bake fruit pies! 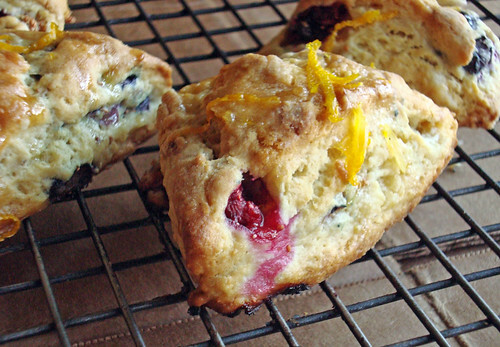 They’re completely easy, homey, and taste just as delicious as their brethren who spend time baking in the oven. 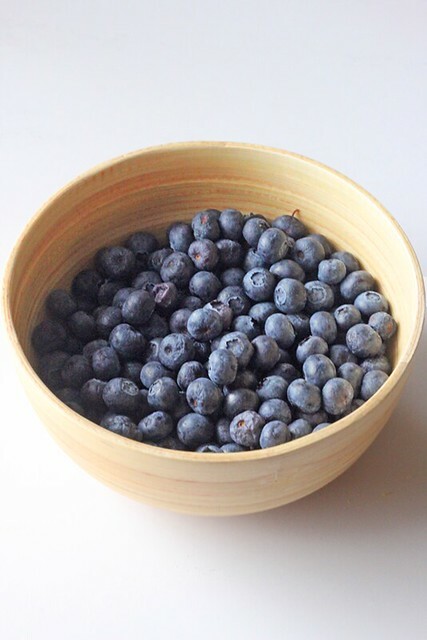 While blueberry is my personal favorite – and the one my grandmother makes for our family the most – you could substitute peaches, strawberries, and combinations of all kinds of summer fruits in this. You may have to adapt the amount of fruit to switch it up, but play around and see; there’s no such thing as being grumpy over extra pie filling! 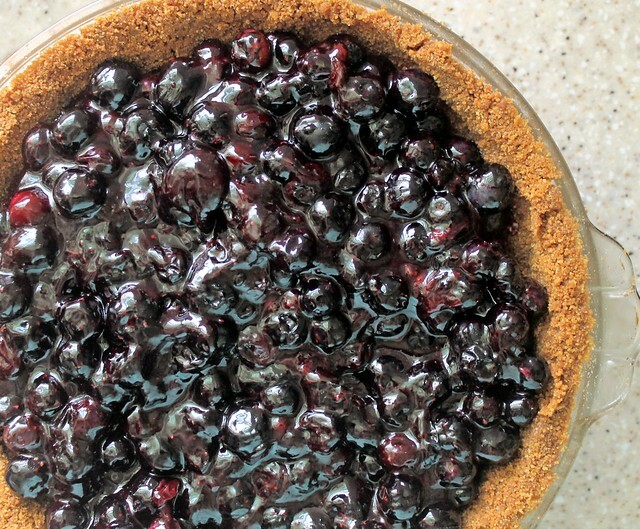 While traditionally, I’ve made her no-bake blueberry pie in a standard, flaky pie crust, I noticed her original recipe called for a gingerbread crust, which somehow got lost over the years. 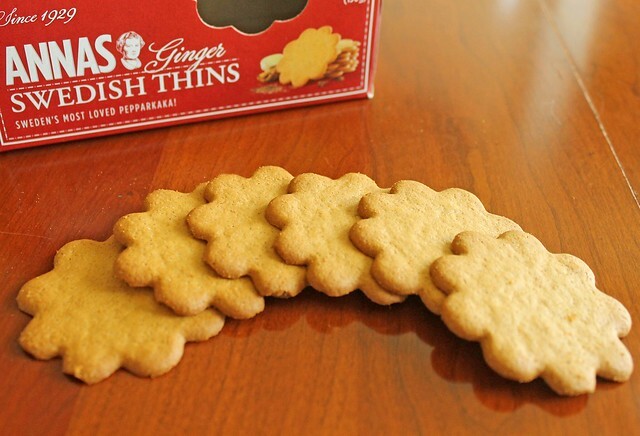 Visiting family in New Jersey a few weeks ago, I came across a box of Anna’s Swedish Ginger Thins and thought, “Hey! Gingersnaps would work and would be even better than gingerbread!” And so it was. For many of us, Anna’s are synonymous with Ikea because they’re sold there in such abundance. 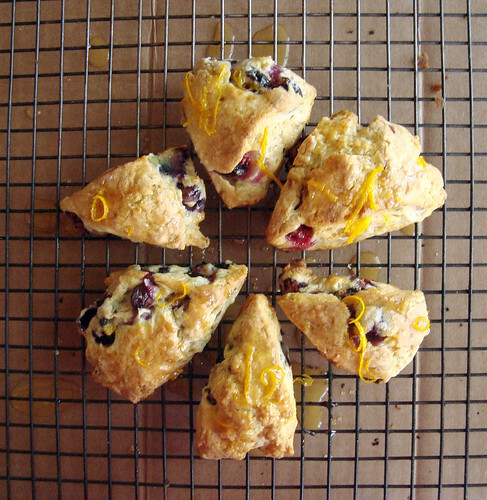 They’re thin and sweet with just the right amount of spicy ginger flavor and, you know what? 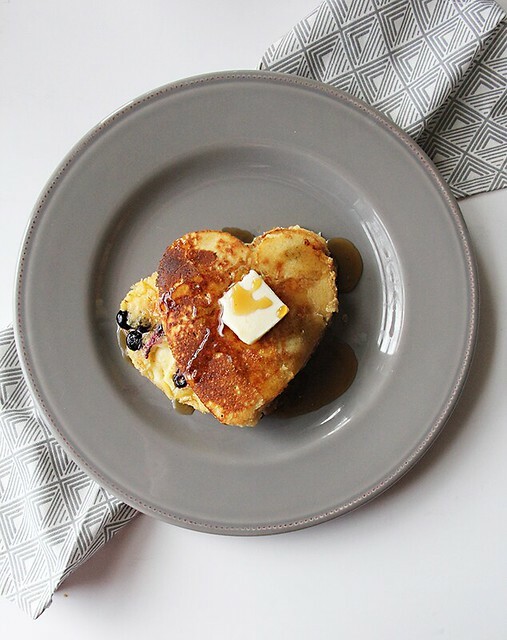 They pair *so* deliciously with blueberries; cinnamon, ginger, and berries are natural friends. Of course, if you can’t find Anna’s, any gingersnap will do, just make sure you’re getting gingersnaps and not gingerbread, as I’m predicting the latter would be too soft and moist for this application. 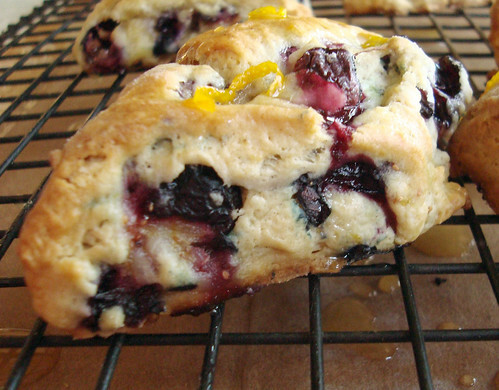 You want your cookies to be full of crunch and snap so that your crust holds up to the lusciousness of the berries and cream. The filling comes together nice and quickly in this recipe and because you only cook one half of the berries, and then add in the remaining off the stove, the pie has the fantastic combination of textures from both the disintegrated, now jam-like, berries and the bright burst of ones just warmed through. It is so juicy, sweet and delicious and makes for a gorgeous, seasonal dessert. When the pie has cooled, I like to top it with a thick layer of fresh whipped cream, but ice cream, or even vanilla yogurt, will also do just fine. This is a great way to have dessert despite a summer swelter and make something that looks, and tastes, like a true labor of love. 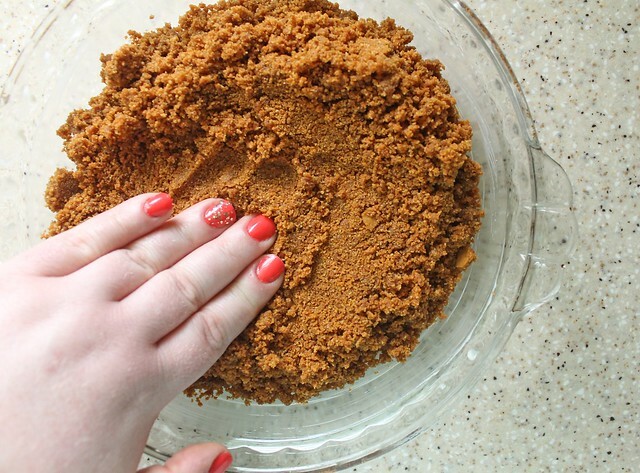 In a food processor, pulse gingersnaps until you have 1-1/2 cups of crumbs, set aside. Repeat with graham crackers until you have 1/2 cup. Melt one stick of butter in the microwave. 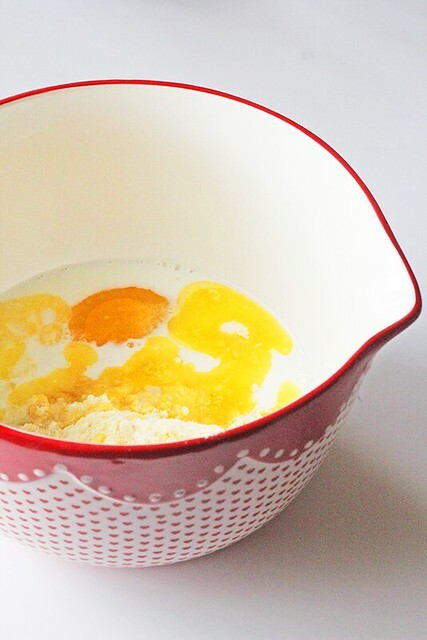 In a bowl, combine both sets of crumbs and melted butter thoroughly. 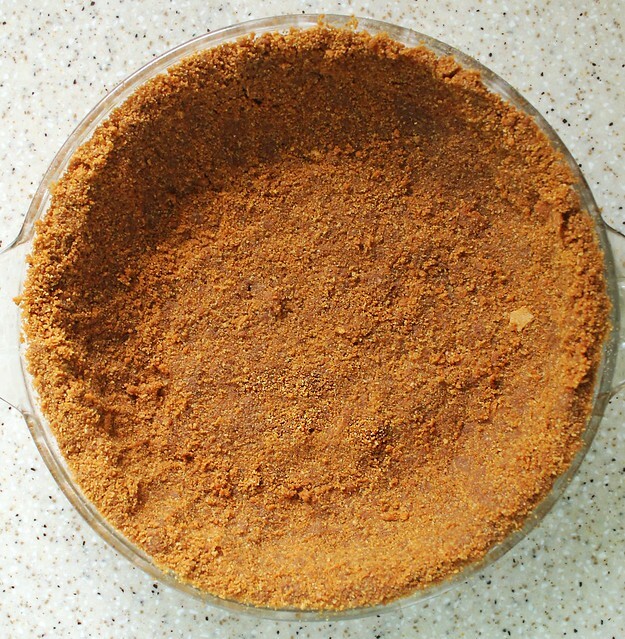 Pour mixture into a 9″ pie plate and, starting at the bottom, in the middle, begin pressing the crumbs into the pan to form the base and sides of the pie. Be sure to press crust into the bend between the base and the sides of the pan and then press the crumb up the sides. Place crust in refrigerator to firm up. 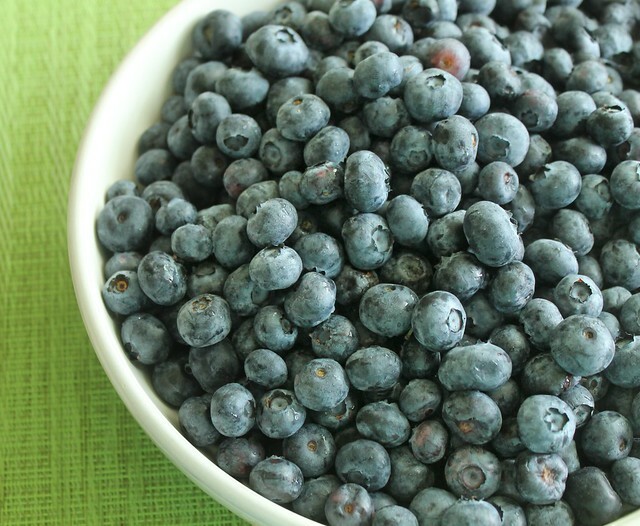 In a mixing bowl, add 1-1/2 pints of blueberries, sugar, cornstarch, water, and salt, and combine. Add fruit mixture to a 3-quart pot and heat mixture, stirring occasionally, until boiling. 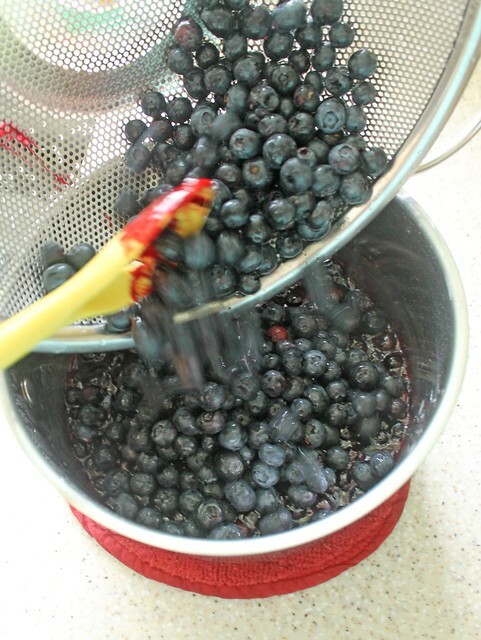 Once boiling, allow to do so for 2 minutes, stirring constantly now until it thickens some and many of the berries pop and split open. 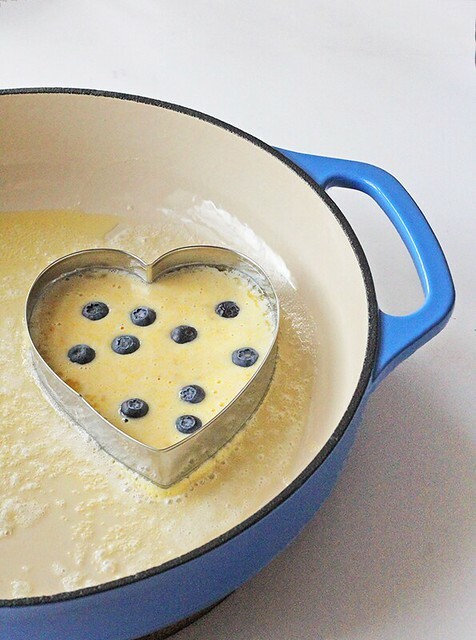 Remove from heat and immediately add in the remaining 1-1/2 pints of blueberries and stir together gently. 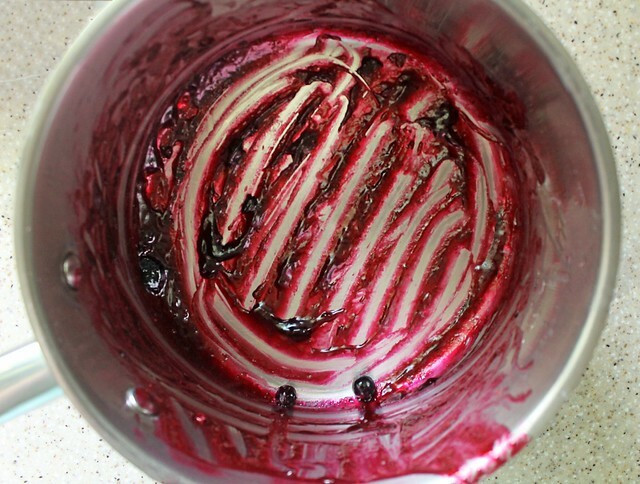 Remove pie crust from fridge and gently spoon in fruit mixture. Cover with plastic wrap and chill in refrigerator until completely cold and firm. Top with fresh whipped cream if desired.